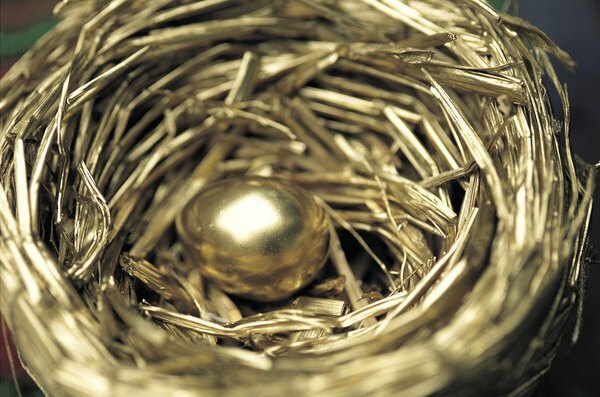 Knowing what your retirement benefits add up to is essential to planning. Retirement benefits provide a monthly source of income for those who have reached retirement age. A pension is one of the most common types of retirement benefits. Other types also exist, including Social Security and military retirement benefits. The amount of money you receive during retirement is dependent upon several factors, such as age, how long you’ve worked and the amount of money you earned while working. An important part of retirement planning includes understanding the type of retirement benefits you'll receive. A pension is an employer-sponsored retirement plan that allows employees to receive a monetary benefit after retirement. Not all companies offer pension plans to their employees. A pension is also known as a defined benefit plan, which means that your employer guarantees the amount of your benefits upon retirement regardless of the performance of the plan’s underlying assets. This is in contrast to a defined contribution plan, in which an employer makes predefined contributions on your behalf, but your retirement amount is dependent on how the assets in your plan perform. If your company offers a pension, your employer enrolls you in the plan, makes contributions on your behalf and is responsible for managing the plan. The retirement benefit of your pension plan is calculated using your length of service, final average salary and a retirement factor. According to CNN Money, a pension comes with one of two vesting options. Cliff vesting requires you to work for your employer for at least five years to receive 100 percent of your benefits. Grade vesting starts you off with 20 percent of your benefits if you work for at least three years. You are entitled to another 20 percent for each additional year worked. For example, in grade vesting, if you work five years, you receive 60 percent of your retirement benefit. Unlike other retirement plans, you cannot take a loan out of your pension, receive early withdrawals or roll your plan to another employer or retirement account. Eligible retirees can receive monthly payments or take a lump-sum payout, depending on pension plan rules. Receiving a lump-sum payout frees you from worrying about losing your money if the company experiences financial problems and gives you complete control of your investments. Social Security benefits are designed to provide eligible retirees with an additional source of income. You pay into the system through the Social Security taxes that are taken from your paycheck. As of 2012, you were required to pay Social Security taxes on up to $110,000 of annual income. Eligible retirees are entitled to receive monthly payments. The amount of your monthly benefit depends on how much you earned while working. The full age of retirement depends on your birth year. It currently ranges from 66 to 67. The Social Security Administration allows you to receive reduced benefits as early as age 62. Delaying taking your benefits beyond retirement age increases your benefit amount by a certain percentage that depends on how many years past your full retirement date you take them. The rules surrounding military retirement differ from other retirement benefits. The military pays eligible retirees 40 to 75 percent of their basic pay. Factors contributing to the amount of a retiree’s benefits include grade at retirement, the date of entry for military service, total creditable points for retired pay and the qualified years of service. The Department of Defense uses the time of separation or discharge from the military to calculate the number of service years. Eligible retirees can start receiving their benefits at age 60.